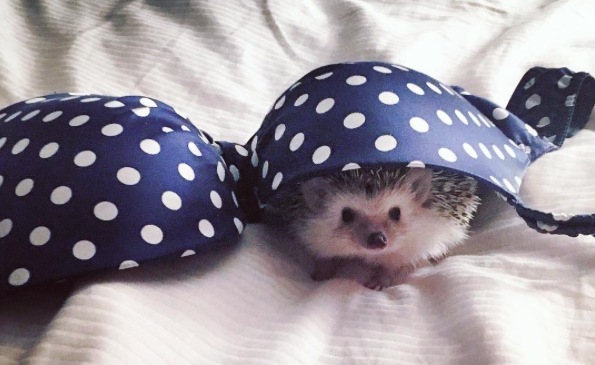 Several people have been asking me, via twitter, instagram, facebook and even a few emails, how come I have a pet hedgehog and how he lives etc so I thought I’d answer them all in a Q+A style post for you guys. No! Twiglet is not a common garden hedgehog – he is an African Pygmy Hedgehog and I got him from a UK based breeder after spending quite a while on a waiting list. They are a breed of hedgehog that is smaller than the ones you find in the garden, with (in my opinion) much cuter little faces. They originate from Africa so are technically “exotic pets”. No, unlike the ones we find in the garden, African Pygmy Hedgehogs don’t hibernate – they are too little, they would die – one of the main things about looking after one is to keep him warm enough that he doesn’t attempt to hibernate. He lives in a large cage, kinda like a hamster cage but bigger and with plastic sides so he can’t climb (he’s got long legs and if he fell he could really hurt himself) – he’s got gorgeous fleece bedding made by a wonderful lady called Nina so he’s all cosy! Dry cat food. He also has mealworms as treats and occasionally a bit of chicken or turkey which he LOVES! 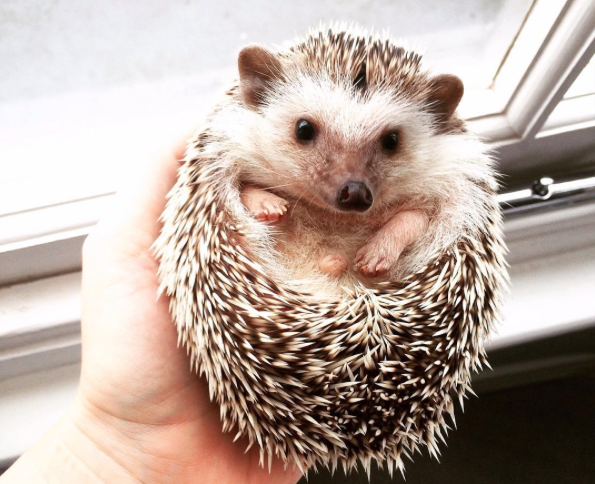 If you make him jump or wake him up, all his spikes point in different directions and then he is quite prickly, but when he is happy and settled, his prickles all go flat to his body and so unless you brush his prickles the wrong way he’s not that spiky at all – and his tummy is super soft and fluffy! I have wanted a hedgehog for so so long – I don’t even know where I first saw that you can have them as pets but I wanted one for YEARS before I actually felt I was settled enough to be able to provide him a proper home. Yes, he really does. If you have, say, a hamster, and you get it out in the evening, it will climb over your hands and make a bid for freedom. Twiglet just curls up on my chest for cuddles, and quite often will just fall asleep there – TOO CUTE! Follow Twiglet on instagram here. Into The Woods….And Home Before Dark! He is so damn cute! Is it hard work looking after him? Any more than looking after say a rabbit or hamster? Omg thanks for sharing! I've been thinking of getting a pet hedgehog and I didn't know where to start!